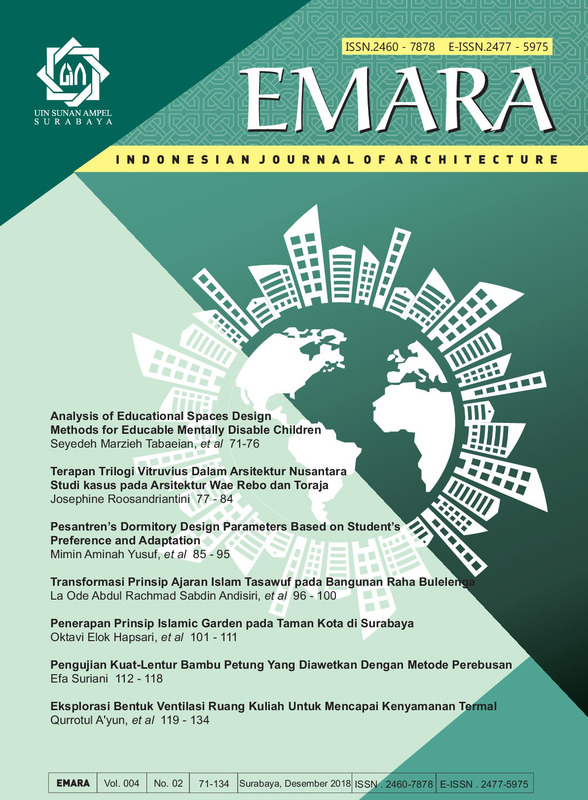 EMARA Indonesian Journal of Architecture (EIJA) is an online Open Access peer-reviewed journal for all kinds of design research and scholarly research within the architectural field publication. EIJA focused on, but not limited to, particular themes and interdisciplinary studies in relation to the subject. It has become a medium of exchange of ideas and research findings from various traditions of learning that have interacted in the scholarly manner. It welcomes the submission of essays by doctoral students and younger researchers as well as by established architects and academics. Please Read This First !